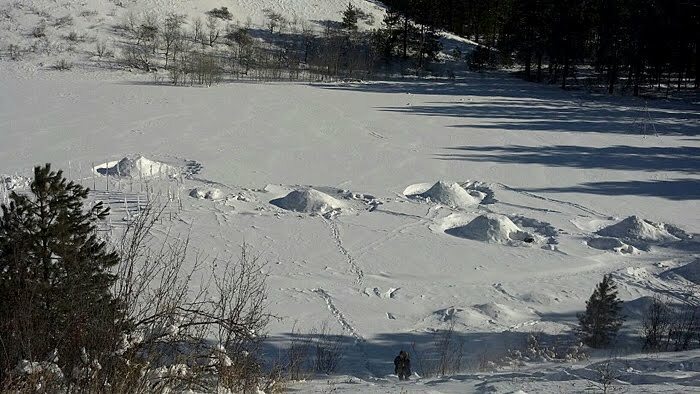 Alderleaf Wilderness College had an unexpected snowfall during the week of January 16th. Over the course of several days, a total of between 1.5 and 2 feet of snow accumulated, an unusually high amount for this elevation! Wilderness Certification Program students worked on learning the construction and use of primitive traps and snares for wilderness survival. 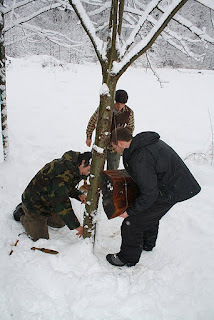 Here, instructor Steve Nicolini is assisted by students Jeremy and Lucas in setting up a weighted snare for demonstration. 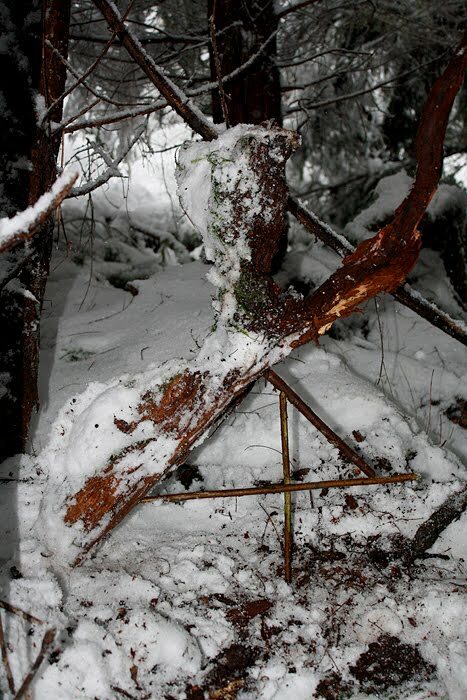 An example of a Figure-4 deadfall trap set by Alderleaf Wilderness College student Jamie. The next week was the much anticipated Winter Field Trip to the North Cascades. The week was filled with adventure, and winter-time survival focused lessons including snow shelter construction, snow tracking, winter survival skills, winter foraging and more. Here is a view of some of the snow shelters constructed by the Certification Program students. The shelters included quinzee and snow-trench type shelters. 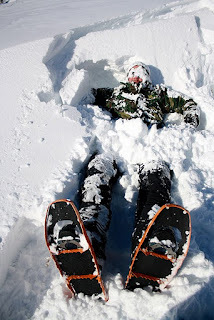 Here student Patrick shows us how to have fun in the snow. The trip was amazing, and we were grateful for all of the snow, sunshine and learning!